Give your customers the feeling of hair free skin! Your customers want to have smooth and hair free skin without uncomfortable shaving, waxing or needle epilation. 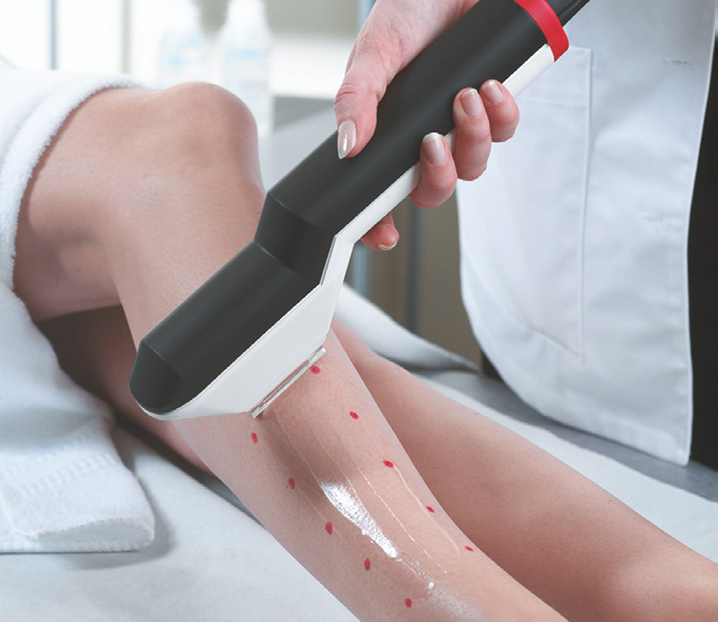 With the premium device Ellipse Sirius you can remove unwanted hair effective, almost painless and safe. Ellipse Sirius is very gentle to the skin, so you can treat very sensitive areas of the body such as upper lips, face, armpits, legs, chest, back or bikini line very comfortable. 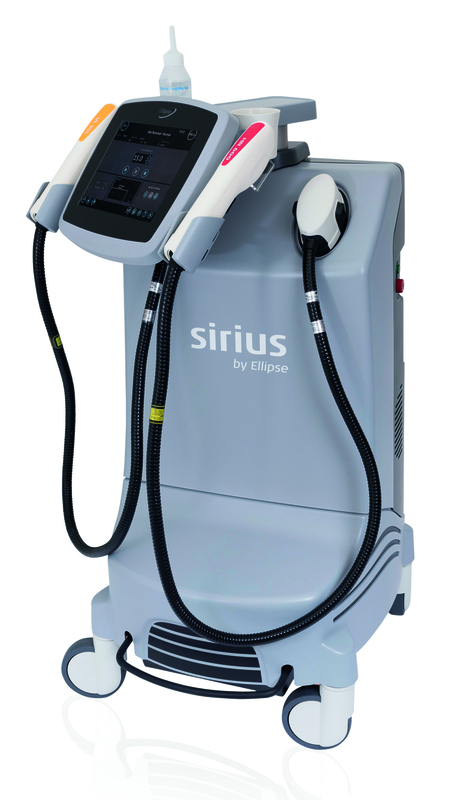 How does the Ellipse Sirius hair removal treatment work? To achieve long lasting or permanent hair removal, it is necessary to destroy the hair follicle from which individual hair grows. Controlled pulses of light penetrate the epidermis and are absorbed by melanin in the hair contained in the follicle. Melanin converts the light energy into heat. This heat is transferred to the hair follicle, which is destroyed, making it unable to produce new hair. The treatment is only effective on growing hair as it is still attached to the follicle. This technique is called „Selective Photothermolysis”. 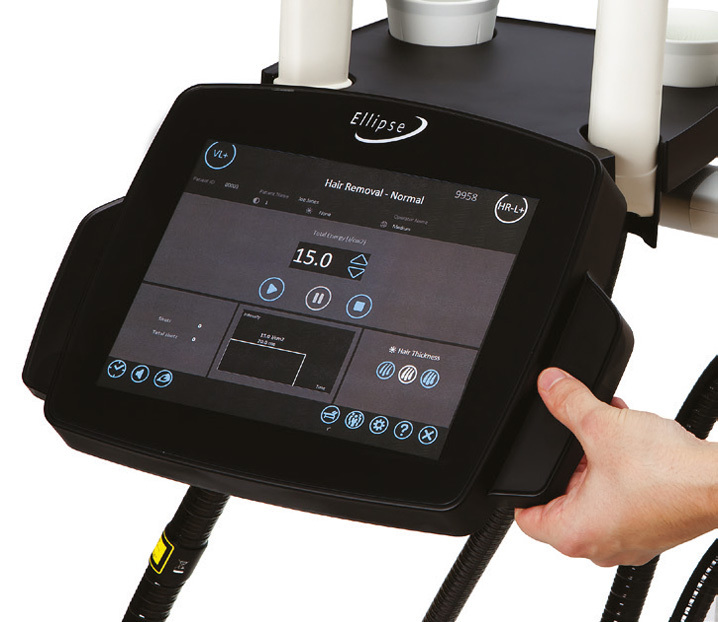 The visible light produced by Ellipse Sirius is carefully controlled to ensure the correct pulse length, wavelengths and right amount of energy to destroy the follicle. Maximum effectiveness – almost painless, safe and gentle to the skin! Owing to the patented “Dual Mode Filtering”-system, all dangerous parts of the emitted light are filtered out. In contrast to most other hair removal devices, Ellipse Sirius does not need cooling systems or other additional equipment. The unique filtering system ensures almost painless, gentle and safe treatments achieving maximum effectiveness in every area of the body.